Zizyphus is one of the most hardy fruit trees. It is a small thorny evergreen tree, with vine-like branches and dark green leaves. It has egg-shaped fruit of orange or brown in colour, with edible acid pulp and hard central stone. The fruit has two varieties-the wild one, called jharberi, is small and round, while the cultivated fruit is oval, fleshy and bigger in size. It is sweeter compared to the smaller kind. An analysis of zizyphus shows it to consist of moisture 81.6 per cent, protein 0.8 per cent., fat 0.3 per cent, minerals 0.3 per cent., and carbohydrates 17.0 per cent per 100 grams. Its mineral and vitamin contents are calcium, phosphorus, iron, carotene, thiamine, riboflavin, niacin and vitamin C. Its calorific value is 74. Both the varieties of the fruit contain zizyphic acid and tannins. Zizyphus is beneficial in the treatment of mental retardation. A handful of the dry fruit is boiled in half a litre of water till it is reduced to half. Sugar or honey can be added to taste and given daily at night before retiring. It increases the functioning of the brain by releasing more glutamic acid into the bloodstream. Zizyphus is useful in preventing frequent attacks of colds and influenza. 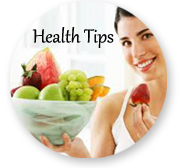 A teaspoon of the fresh juice of the fruit can be taken with a pinch of pepper once daily for preventing colds. The bark can be used for treating diarrhoea, dysentery and colic. The infusion of the inner covering of the bark is used as a purgative in constipation. Fresh baked leaves are useful in piles. The leaves are baked by placing them over the covered mouth of a vessel with water boiling. The leaves are covered with another plate to prevent steam from escaping. Those baked leaves are pounded with some castor oil. This warm poultice can be applied over the piles. The process should be repeated twice daily for a week. A paste of the leaves and twigs can be applied with excellent results over; boils, carbuncles and abcesses to promote suppuration. 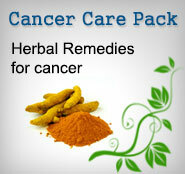 It can also be applied beneficially over painful boils and styes. This paste, mixed with a teaspoon of lime juice can be applied as a poultice in the treatment of scorpion sting. Infusion of its leaves can be applied as a lotion to wash the wounds and other ulcers. The paste of its leaves applied over the scalp and hair can keep them clean and prevents scalp diseases. It also lengthens the hair besides darkening them.